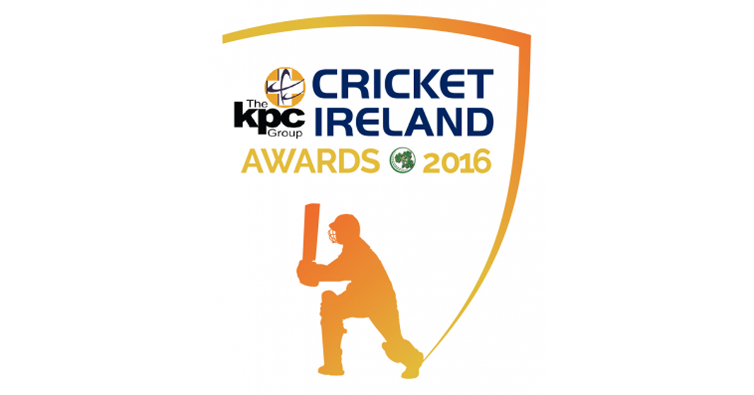 The nominations for the 2016 KPC Group Cricket Ireland Awards have been announced by the governing body, with Ed Joyce, Kevin O’Brien and Tim Murtagh all in the running for the KPC Group Men’s International Player of the Year Award. It was great to see Munster representation among the nominees at the 2016 Cricket Ireland Awards. Both Cork County and County Kerry have been nominated for the prestigious Tildenet Club of the Year while Chris Thomas (Limerick Cricket Club) has been nominated for the Notts Coach of the Year. In addition to the categories with nominations, there will also be presentations for the Gibneys Outstanding Contribution to Irish Cricket and the Cricket Writers of Ireland Hall of Fame induction. The winners of all the awards will be announced at the Cricket Ireland Awards Lunch on Friday November 11th. Isobel Joyce, Kim Garth, Ciara Metcalfe. Barry McCarthy, Robyn Lewis, Jenny Gray. John Anderson (Leinster Lightning), Andy McBrine (NW Warriors), George Dockrell (Leinster Lightning). Eddie Richardson (North County), John Anderson (Merrion), Simi Singh (YMCA). Ryan Eagleson, Mark Olphert, Aaron Hamilton, Chris Thomas and Rob O’Connor. Paul Reynolds, Stella Downes and Alan Neill. Clontarf, Cork County, Ardmore, Fox Lodge, Ballyspallen, Laois, Ringcommons and Kerry. Best of luck to each of our #MunsterCricket nominees!